It used to be that you could just pack a bag get to the airport and go, of course you have to consider a few details as well after all you are going to be leaving your home and job for an extended period of time and anytime you do that there are bound to be things that have to be considered. Now there are more and more virtual services that allow you to check in on things and even get things done without having to physically be present. Read on to see which virtual service you will need before you go. Check out DUFL the virtual valet service that allows you to travel bag free. Saving you time and hassle of checking your bag at the airport and dragging a heavy suitcase along with you. With DUFL all you do is pick the clothes, toiletries etc. that you need and they have them cleaned and ready for you at your destination. 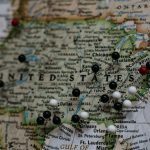 Have trouble finding a place to stay on your trip? Maybe it was planned at the last minute or you hadn’t planned on attending. Always check the travel sites to find the best rates on hotels no matter where your travels take you. You can also check reviews to make sure previous guests have had a good experience with the hotel as well. The last thing anyone wants is to get to what is supposed to be a nice hotel and find out that Motel 6 would have been better. 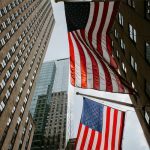 If you are traveling to another country you now need to worry about exchanging currency. There is a global money app and debit card called Revolut that helps transparently manage money around the world. Revolut supports at least 90 different currencies all without international transfer fees. Don’t forget about the things you need to take care of at home. 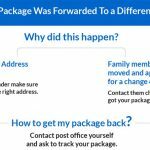 Do you have a plan in place for your postal mail? 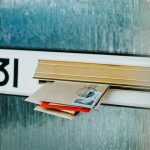 With mail theft being a rising problem everywhere leaving your mail to sit even for a few days can put you at risk for I.D. theft. 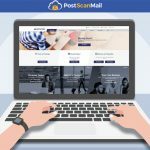 With a digital mailbox service like PostScan Mail you can prevent mail theft, avoid the hassle of finding someone to take care of your mail and stay on top of your mail while you are away. 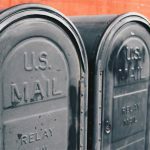 You can view what mail has come in and even choose to have it sent directly to you wherever you are. If something isn’t important you can have it shredded if necessary and then recycled so you never have to lay a finger on it. Do you have a plan in place for your pets while you are away? Service like Wag are great for having your dog walked when you can’t. Or simply use a website such as Care.com to find a great pet sitter in your area to take care of your furry, or not so furry family members while you are away. 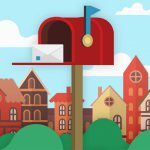 Please visit us at PostScanMail.com to get your virtual address and mailbox, for more information give us a call at 1-800-624-5866, or email us at support@postscanmail.com.